I attend GlueCon this year, and in our swag bag we were given an Intel Edison chip and mini breakout board. I have been thinking about what I wanted to do with this thing. Sadly with the mini-breakout board you can’t even do the simple blinking led test. However, you could set up a web server to test things out, or just write some code to trigger it to do something. Most of the ideas of what I wanted to do are turning out to be too complex, or just not realistic. I really wanted to throw RFID tags on the dogs and have a sensor that would track every time they went outside, and maybe even what the weather was like, if it was light or dark out. Etc. Unfortunately the tags and reader just don’t have enough range. Then I wanted to be notified every time the doorbell rang, there are some examples of this out there. And frankly other than it being a data point in my life it isn’t really useful. As I sit here typing this in my bedroom, I realize it is easily 5 or more degrees warmer up here than the lower levels of our home. We have a Nest thermostat, which has APIs. At first I will just data gather and maybe fire off something that would be the equivalent of triggering the Nest to do something to make sure I have a solid working platform. I’ll follow up as I progress. I need to acquire some parts. 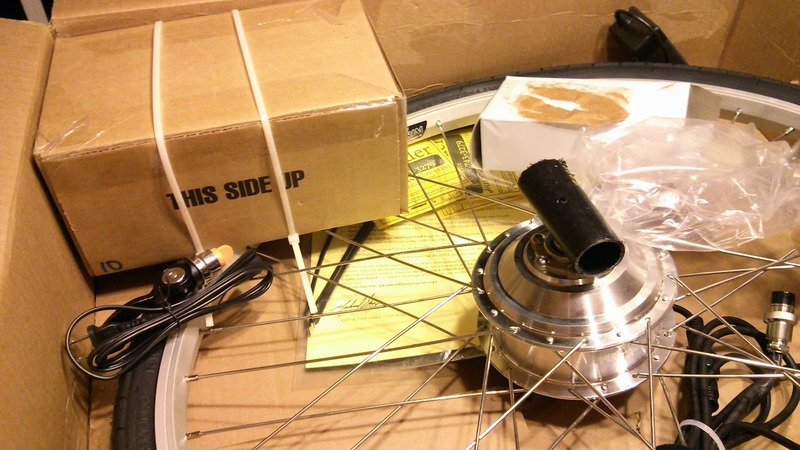 The Clean Republic Hill Topper kit arrived, the packing of the parts was not great. However nothing appears to be damaged. Install was pretty simple, the right side of the front fork was a little stubborn but it went into place. 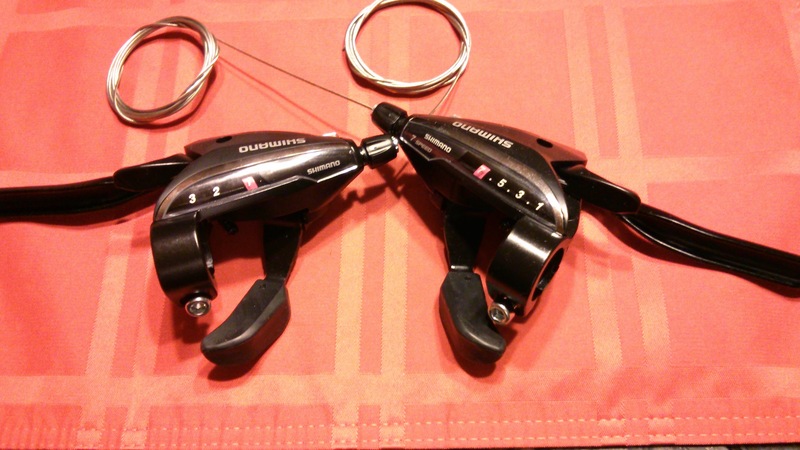 I ordered some quick releases and used those for the install. Since the plan for today was a test fit and test ride I didn’t exactly take my time routing the wires, but the rear rack I recently added was perfect for the battery. Test ride was great, I will need to work on the position of the button for engaging the motor. Our next step will be testing it on Renee’s bike to ensure she likes it as well so we can decide if we want a second. The nice thing, is you can tell it’s enough to let you be lazy here and there if you need to be, but otherwise it really is to just assist you and that’s what we want. We still want to get the health benefits of riding, but this should help with my physical limitation. Headed over to Jim’s to install the new shifter/brake combos and cables. We had some delays to a crazy hail storm. However, we were able to accomplish our goal…get it done, drink some beers and catch up. Nothing amazing to report, we had a few hiccups but shifting was super smooth. A few test rides around the block were great. Tomorrow is the big day, the eBike kit arrives! I ordered a new shifter/brake combo kit as the original factory one was busted. Well the shifter pods were broken. I essentially had a single speed. 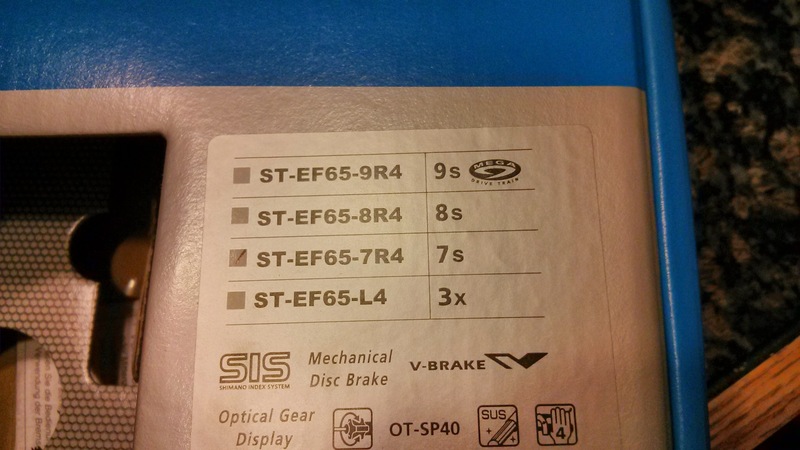 The item I got was the Shimano ST-EF65-7R4 (7 speed rear, 4 finger lever for the brakes). It was about $43 on Amazon. Worlds slowest shipping from the seller. Received the new parts today. My old friend Jim is going to help me with this for Day 2, well at least the replacement of these parts. 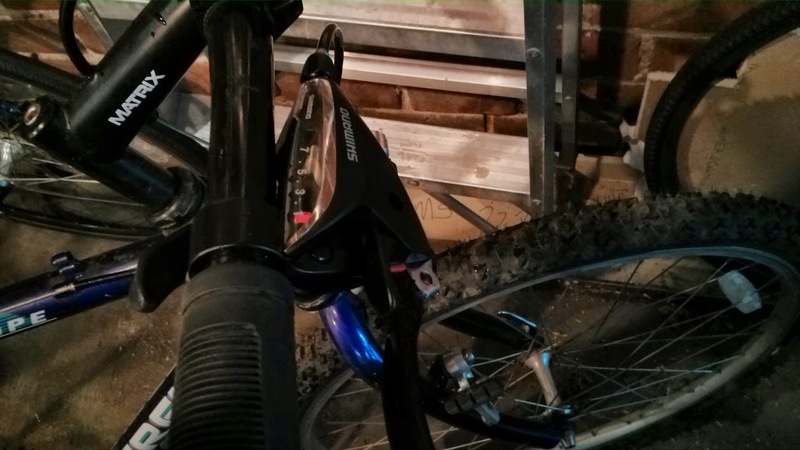 I removed the old shifter pods and cables, but was unsuccessful removing my grips so the brakes are still attached. I moved on and adjusted the way out of adjustment front and rear derailleurs. That was it for today, tomorrow we finish removing the old brake levers and cables and install the new brakes and shifters (and cables). Adjust and test it out. This is a current fascination for me. I used to LOVE riding bikes. When I was a kid I wanted to grow up and be a racer, or do some sort of endurance thing. Really even up into college I rode a lot. Then into my 20’s going out to bars was more fun and then I just didn’t care. A few times over the last 15 years I *tried* to get back into it, but I do have some physical limitations which makes it that much harder for me personally. So it’s literally an uphill task always. Found lots of excuses, we got a dog, then a second. Not really feasible to take them while riding, at least it’s not safe for either of us. A recent thing came to mind, there are some electric kits for bikes. What really sparked my interest was our trip to Newport Beach last year and the rental places had bike with electric assist. You could literally ride to Laguna Beach and back. So I started looking and around the time the economy was really in the toilet and gas prices were super high it seemed there were a number of people making kits. Keep in mind in like China these have been around forever. We seem to be anti electric here in the US. I spent some time researching, I already ride a motorcycle so I don’t need a bike that can do 50. I want to be able to ride on the paths and trails, but have some help when I need it. 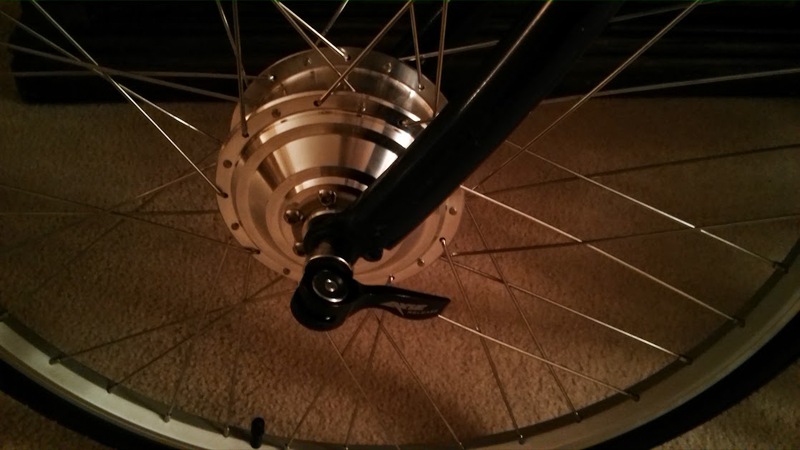 I came across a front wheel replacement with a 250W geared motor (so you can have freewheel), which also comes with a Lithium battery, charger controller, everything packaged together. Great, so I found a kit, now what? 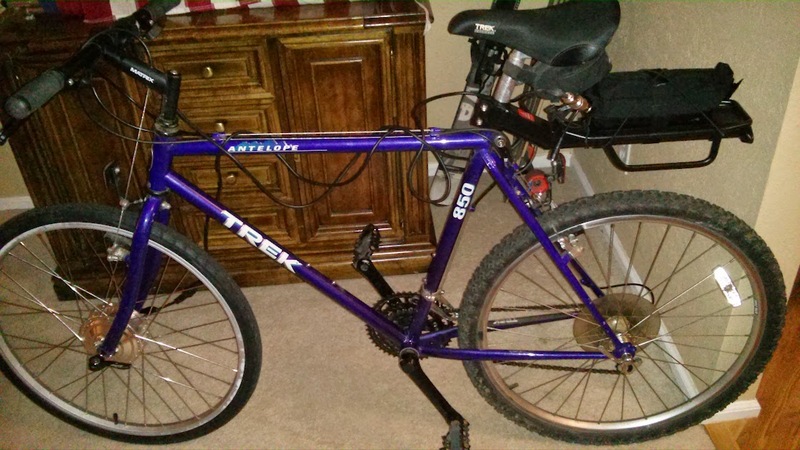 Well I was very anti-mountain bike in the early 90’s, I still had a love for my Mongoose Supergoose and thought Mountain Bikes were stupid and pointless and….oh hey all my friends just bought one and we are all about to go to Colleges around Colorado I better get one. 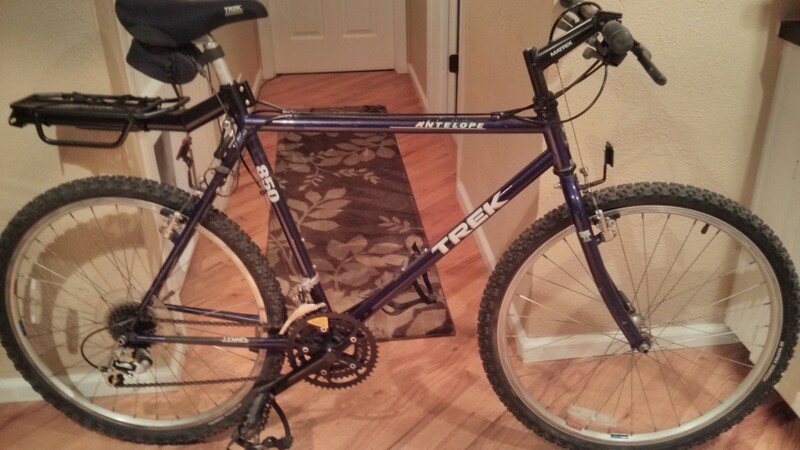 After seeing what my friends got I settled on the same thing for the most part (in one case identical) a 1992 Trek 850 Antelope. To this day I have no idea why they added other names, I have seen tons of pictures of 850’s bit with various names. Don’t ask me, I just bought it and rode the hell out of it for a few years. Most of the last 18 years it has sat, collecting dust, spider webs, I think about 300 generations of spiders probably spawned from it over the years. About 4 years ago I tried busting it out, but it turned out both the shifter pods were bad, so I gave up. Now it’s really important to me to get back into it, not to be some world class rider, but it’s good for me. I have the resources to do the basics. We are going to buy a couple trailers so we can go on those multi mile rides and take the dogs with us. So stay tuned, the new shifter parts as well as brake levers and cables will be here tomorrow. I will have the electric kit later in the week. Goal is to get it rideable (it technically is, in one gear) and be able to test fit the kit and make sure I like it before doing more. Here is the picture of my starting point, I will admit I just installed the rear deck last week, got it for $10 on Amazon. Need a place to carry the 2.3lb battery. 1992 Trek 850 starting point.